Sky has announced plans to commission and acquire exclusive rights to original films, in its latest push into original content. Sky announced the launch of Sky Cinema Original Films along with its half year results, and said its plans involve showing its original films in cinemas at the same time as they become available for Sky Cinema customers. 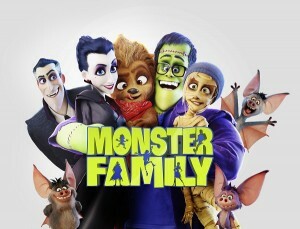 Sky’s first film will be Monster Family, an animated comedy that will launch in March. This will be followed by action move The Hurricane Heist in April, and sci-fi crime thriller Anon and British production Final Score later this year. “Sky Cinema already offers Hollywood hits, cult classics and local legends, and with Sky Cinema Original Films we’re going to bring our customers even more laughs, shocks, tears and memories than ever before,” said Ian Lewis, group director of Sky Cinema. Announcing results for the six months ended December 31, Sky said that viewing of Sky channels increased by 6% following both critical successes and record audiences for Sky Original productions like Riviera and Tin Star. Detailing its plans for 2018, Sky said that it will grow its Sky Originals investment as it expects that, over time, it will be “spending less on second tier sports, linear only entertainment channels and niche movies”. Sky plans to showcase more than 50 Sky Original productions across eight genres in 2018 – including four ‘key dramas’ per quarter across its territories. Sky said it has a “distinct focus on creating content that is local to our key markets”. Overall for the six-month period Sky reported a 5% increase in like-for-like revenue to £6.7 billion and a 15% increase in established business EBITDA to £1.2 billion. Over the six months it attracted 365,000 new customers bringing the total to 22.9 million. It also added 2 million products to 61.7 million and 20 million pay-as-you go buys, up 8%.